The ‘start-up tax exemption’ (SUTE) scheme in Singapore was introduced in 2005 to support entrepreneurship and to help local enterprises grow. The scheme provides qualifying companies with a full tax exemption on the first S$100,000 of normal chargeable income during their first three consecutive years of assessment. In Singapore’s Budget 2018, however, Finance Minister Heng Swee Keat announced that, from year of assessment 2020, the full tax exemption on the first S$100,000 of a start-up’s normal chargeable income will be reduced to a 75% exemption, while the secondary 50% exemption on the next S$200,000 of normal chargeable income will apply only to the next S$100,000. The Partial Tax Exemption (PTE) scheme, which is applicable to all start-up companies excluding those that qualify for the SUTE scheme, is also being changed. A start-up will still enjoy an unchanged 75% exemption on the first S$10,000 of its normal chargeable income, but the secondary 50% tax exemption on the next S$290,000 of normal chargeable income will apply only to the next S$190,000. While the changes will have a marginal impact on start-ups that have just turned profitable, the move is a sign that Singapore’s start-up ecosystem is maturing. Even with these adjustments, corporate tax will remain exceptionally low for start-ups and smaller firms in Singapore. The effective corporate tax rate is 4.3% for start-ups and 8.1% for older firms on the first S$100,000 of normal chargeable income, rather than headline rate of 17%. The tax exemptions are open to all new companies except those whose principal activity is that of investment holding and those undertaking property development for sale or for investment. To qualify for the SUTE, eligible companies must be incorporated in Singapore and be tax resident in Singapore for the relevant year of assessment. In addition, the total share capital must be held directly by no more than 20 shareholders throughout the basis period for that year of assessment where all of the shareholders are individuals or at least one individual shareholder holds at least 10% of the issued ordinary shares of the company. In order to be tax resident in Singapore and claim these exemptions, the management and control of the company must be in Singapore. 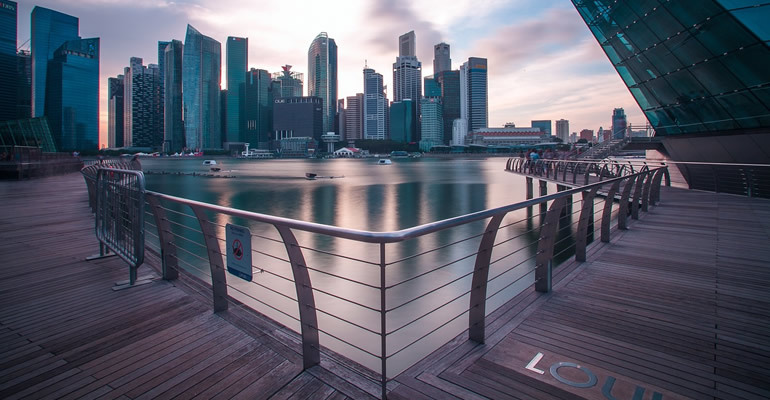 Sovereign Management Services can assist with setting up and managing your new or existing company in Singapore to ensure that these exemptions can be claimed. Please contact us for further information.